Afrochic Diani is the perfect getaway for the discerning traveller who wants to simply ‘flop and drop’ and enjoy the spectacular views of exotic and ancient dhows in full sail.Intimate and Singularly Personable. 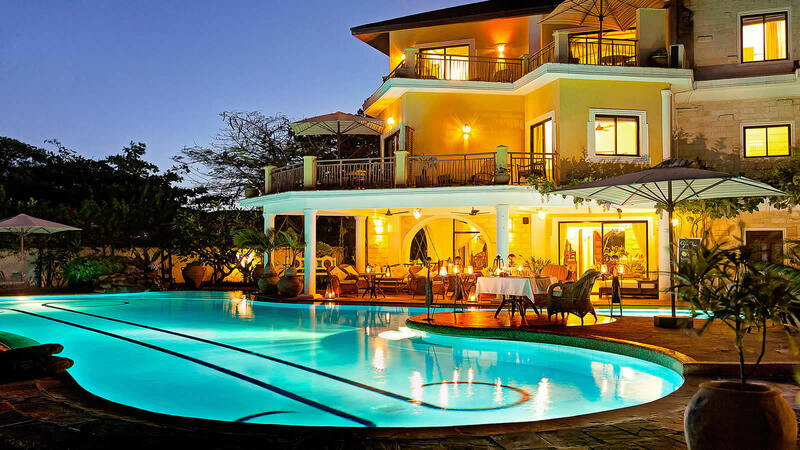 Afrochic Diani is located on one of the most beautiful beaches in the world Diani beach Kenya, Afrochic Diani is the perfect getaway for the discerning traveller who wants to simply ‘flop and drop’ and enjoy the spectacular views of exotic and ancient dhows in full sail. Diani is the perfect getaway for the discerning traveller who wants to simply enjoy the spectacular views of exotic and ancient dhows in full sail. Right on the white sands of gorgeous Diani Beach, AfroChic dazzles with views of exotic, ancient dhows in full sail, her graceful curve of shoreline inviting walks in the warm shallows along the edge of the continent. This is the perfect romantic beach retreat. 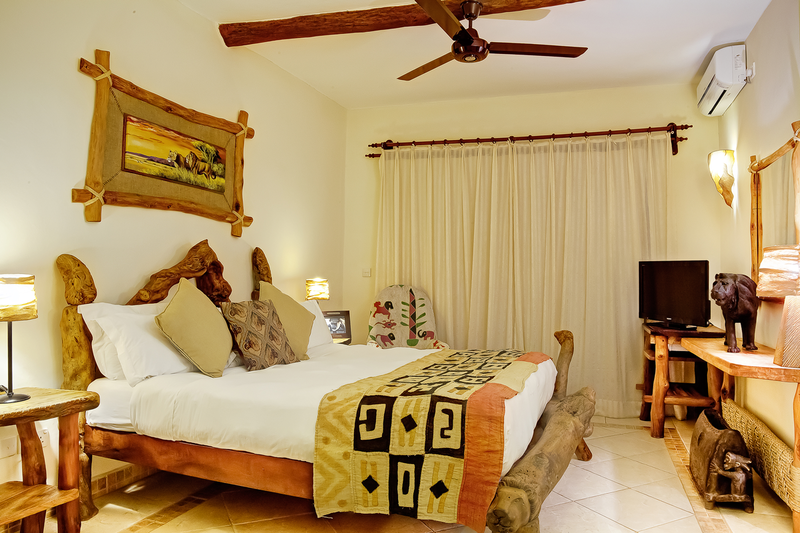 Afro chic Diani is considered a boutique retreat and has only 10 well designed rooms. This gives guests quite a bit of privacy as you are not surrounded by hordes of other visitors, a common situation with other hotels. Out of the 10 rooms, one is an Executive suite called the Queen of Sheba Room. This stunning suite opens out on to a beautiful garden having a fish pond. There are two more suites called the Zanzibar Junior Suite and the Punda Milla, which has an additional sofa bed that can accommodate one more person. All the other rooms have bedrooms with a luxurious double bed and balconies with a panoramic view of the vast ocean. Guests at Afro chic Diani can choose his personalized preference in food and can order an A la Carte menu of dishes from the experienced Chefs. There is a good variety to choose from including Mediterranean, Italian Swahili, Indian dishes as well as main ingredient, sea food.